Consumer Price Index increases a must for Budget 2011 – that is the message from across the social services sector in response to the news that there may not even be an inflation adjustment in government funding in the Government’s 2011 Budget. 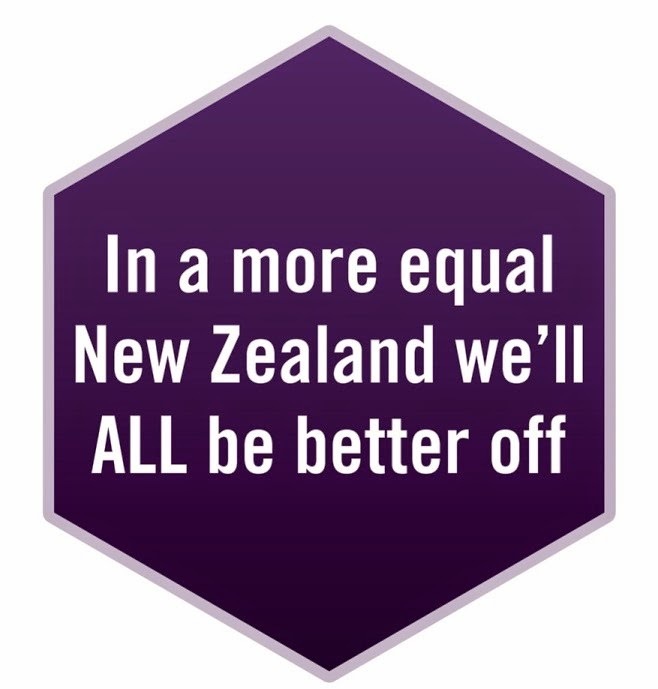 "The tail of the economic downturn is still there” said Miri Rawiri from Te Kahui Atawhai o te Motu summing up the thoughts of many working at the frontline of social services. “The increasing rates of unemployment are not being experienced evenly with Māori rates more than double the national all ethnicities rate. Māori youth between 15 and 24 years old have been badly impacted with an unemployment rate of 28.8%. Pacific youth are faring equally badly with same 28.8% unemployment rate. Vulnerable children and young people will be adversely affected if services are reduced as a result service providers - listen to Trevor McGlinchey from NZCCSS and Marion Blake from Platform talking on National Radio about the situation with Kathryn Ryan. We urge all those who are concerned about maintaining essential social services in the midst of the worst unemployment for more than a decade to take action and write to the Minister of Social Development and Minister of Finance to register your concerns (and we would welcome being copied in on any communication admin@nzccss.org.nz). The Welfare Working Group advises that a discussion paper on the options for reducing long-term welfare dependency is out. The Options Paper sets out a number of ways of responding to the issues raised in the August Issues Paper. It covers a broad spectrum and looks at a wide range of influences on people on benefits, including the role of Government, the community, employers and others. The many submissions and written comments received covered a wide range of views and have all been carefully considered. The Working Group thanks all those who put time and effort into sharing their views. Public comment on the Discussion Paper is invited by 24th December 2010 and the final report and recommendations will be submitted to Government in February 2011. The Welfare Working Group has also published submissions it received via the website. Welfare Reform: Alternative Views on the Options - If you want a different take on the issues, there is a forum on alternative views featuring fifteen minute presentations by Professor Paul Dalziel, Wendi Wicks, Mamari Stephens and Dr Susan St John, followed by a moderated interactive panel discussion of approximately one hour. Friday 26 November 12.30 pm-2.30 pm Government Building Lecture Theatre Two, Victoria University's Pipitea Campus All welcome - no RSVP necessary. NZCCSS will be working to promote a wide social and political dialogue on this issue over the coming months, so please contact us if you wish to receive more information: admin@nzccss.org.nz. Urban Infrastructure reform – are they taking account of the social impacts of infrastructure? It might pay to have a close read of the Government’s discussion document on urban and infrastructure planning and ask the question whether important social and environmental protections could be removed or weakened as a result? Read the document “Building competitive cities Reform of the urban and infrastructure planning system - A discussion document” online at the Ministry for the Environment (comments close on 17th December). Everything you ever wanted to know about the Auckland Region Housing Market is contained in the latest report from the Centre for Housing Research, Aotearoa New Zealand (CHRANZ) released last week. The report documents the current and projected housing shortages and the growing affordability challenges in the region – almost half of Aucklands private renter households are in “housing stress” i.e. paying more than 30% of gross income on housing costs. At 460 pages the Auckland Region Housing Market Assessment is a weighty tome but you can read it online or check out the summary. Meanwhile, the latest round of Community Response Fund distributions has been announced, and only two-thirds of the organisations applying for funding received any and the total funding awarded was less than half of that asked for. There was a total of 264 applications asking for $18,487,054 and funding for 170 grants were approved totalling $8,116,000. You can see a list of all the grants online. Applications have already closed for the next round of funding (to be announced in December) so there is one last chance for community organisations dealing with the effects of the recession to apply for funding – it closes on 25th February 2011. Pokies take $3.3 million from small towns according to Te Ururoa Flavell. He reports that Internal Affairs figures show that Opotiki, Kawerau and Whakatane between them lost $3.3 million on pokie machines in just over a year. As he points out "That money could build kohanga, homes and training programmes in the Eastern Bay but the bulk of it is going out of their local economy,”. Only a fraction of this sum comes back to the community in the form of grants from community trusts. Read more about the Gambling Harm Reduction Bill in our Policy Watch from 10th November. Low-income working families who are eligible for the minimum family tax credit will receive an increase of over $1,000 per year from 1 April 2011, Revenue Minister Peter Dunne has announced. Is this what Better, Sooner, More Convenient health care looks like? Another rural aged care facility will disappear with the news of the closure of the 22 aged residential care beds in Taihape. The NZ Nurses Organisation rightly asks how this fits with the National Government’s policy of local access to services. In response, Whanganui District Health Board has made it clear that a “wide range” of primary and community services will remain in Taihape. Have your say on the new Ministry of Health website being launched in 2011 The Ministry's Web Team will be seeking feedback from people who use this website to help ensure the new design is user-friendly and that the content continues to meet the needs of the health and disability sector and the New Zealand public.